Green Drinks NYC SPARK Speaker Series: Fukusima, Indian Point and the Future of Energy, Tuesday February 25th at The Moderns! 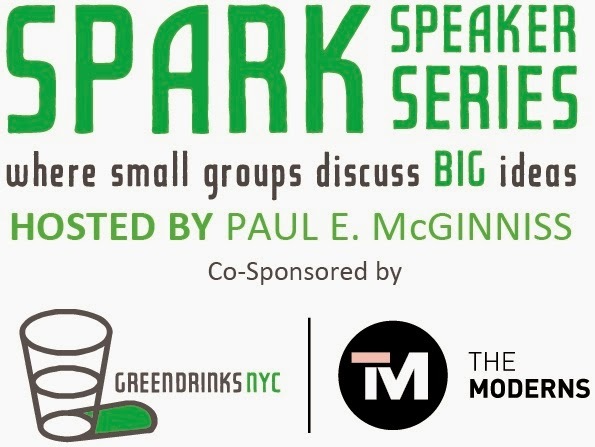 Green Drinks NYC, The Moderns and Paul E McGinniss invite you to a lively evening at our SPARK SPEAKER SERIES with a focus on Japan's Fukushima Reactor disaster and New York's Indian Point Nuclear Reactor and how to manifest a green energy future. "Three Years After Fukushima: Lessons Learned from the Disaster and The Future of Indian Point" featuring Ed Lyman from Union of Concerned Scientists, Philip Musegaas from Riverkeeper and journalist Susan Q. Stranahan. The nuclear disaster at Fukushima continues to unfold nearly three years after that fateful day, March 11, 2011. The lives and livelihoods of tens of thousands of Japanese have been irreparably harmed with devastating human, economic and environmental consequences. Here in the United States, what lessons have we heeded from this disaster? What are U.S. regulators doing to better protect the hundreds of millions of Americans who live near one of the nation's 100 operating nuclear reactors, including the Indian Point nuclear plant, 38 miles north of New York City? What are some of the known risks at the Indian Point plant and what is being done to address them? Edwin Lyman is a, nationally recognized nuclear power safety expert from the Union of Concerned Scientists and the author (with Dave Lochbaum and Susan Q. Stranahan) of the Feb, 2014 book, Fukushima: The Story of a Nuclear Disaster. He will be joined by Philip Musegaas, Hudson River Program Director for Riverkeeper, New York's leading clean water advocacy group. Riverkeeper has a long history of work on Indian Point safety and environmental issues, including its current active legal challenge to Indian Point's re-licensing by the Nuclear Regulatory Commission (NRC). Also joining Edwin and Philip will be journalist Susan Q. Stranahan. A magical shot of one of the many natural gems found within the Catskill Park Preserve. Judging by the audience reaction, David is clearly well liked in Woodstock. It is no surprise as his film revels in the very region where it was shot. His raw energy is as infectious as the landscape that has long inspired its inhabitants. 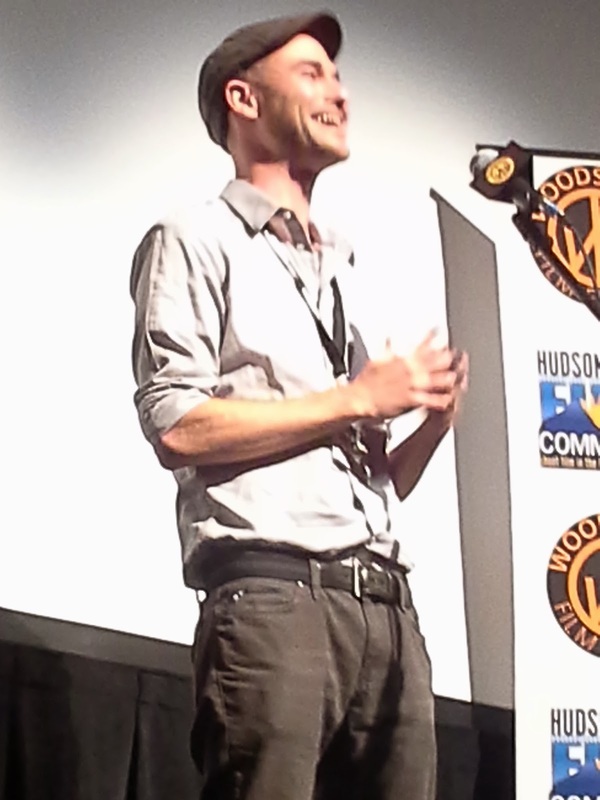 David Becker beams following a screening of "To be Forever Wild" at the 2013 "Woodstock Film Festival." David Becker (front left) sitting with the crew for "To be Forever Wild" at Platte Cove in the Catskill Mountains. The doc captures an astounding array of images of the Catskills which seamlessly weaves the natural landscape together with the colorful characters who live in the region. One of those characters featured prominently in the film is Ellen Kalish who works at a Wildlife Rehabilitation Center known as Ravensbeard. The film sequences of her interacting with rescued birds were beautifully surreal. One of the more memorable, poignant moments is a shot of Ellen releasing a bird which brings on bittersweet tears as the bird flies away, into the wild. Ellen Kalish with an owl at Ravensbead Wildlife Center in Woodstock, NY. Before seeing the film, I met long time Woodstock Film Festival attendee, two time Academy Award Winning filmmaker, Barbara Kopple, at the local Colony Cafe. 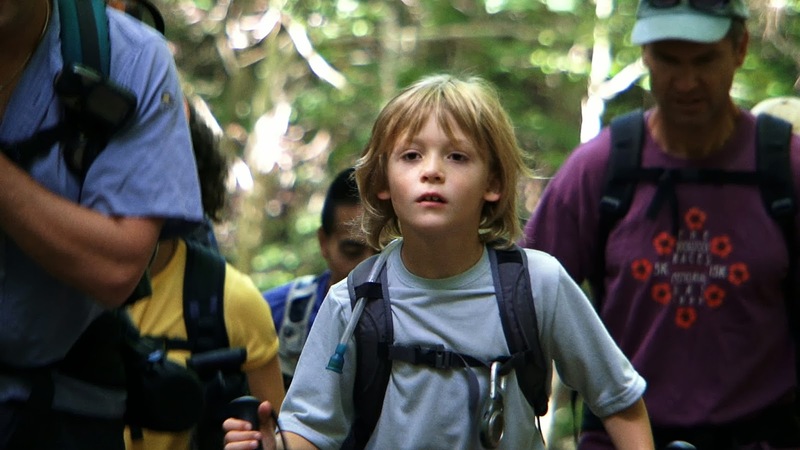 I discovered that Ms. Kopple brought David to the Catskills for the first time six years ago. David was fortunate to have the chance to work and learn from veteran Barbara Kopple. He recently coordinated the restoration and DVD release of Barbara Kopple’s landmark documentary, "Harlan County USA." He also collaborated with Ms. Kopple on several nonfiction projects including "Dixie Chicks: Shut Up and Sing." " 'To be Forever Wild' is a film that explores how nature rejuvenates and inspires, telling the story of hikers, fly-fishers, artists --- all discovering the power of nature in their own way. These experiences put our modern life in perspective, eliciting that those who interact with nature become its biggest defenders." 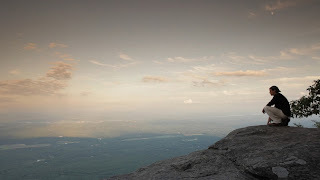 A Young Boy living in the Catskill Region who literally has "climbed every mountain" in the region and inspires us as we watch him hike one of the 34 High Peaks of the Catskill Mountain range. 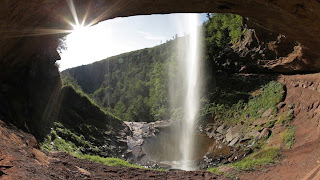 By the end of inhaling this beautifully shot film, if you have not been to the Catskills, you will want to zip line there and experience the astounding natural landscape and connect with some of the interesting personalities captured in the film. I suppose it is somewhat ironic that this film is called "To be Forever Wild" as surely watching it increases desire to go to the Catskills and visit. The more people who see this film, the more people will want to go to these mountains, just a short drive from New York. And, indeed, the more people that come, the less (naturally) wild it could become. One of many swimming holes enjoyed by the crew of "To be Forever Wild." 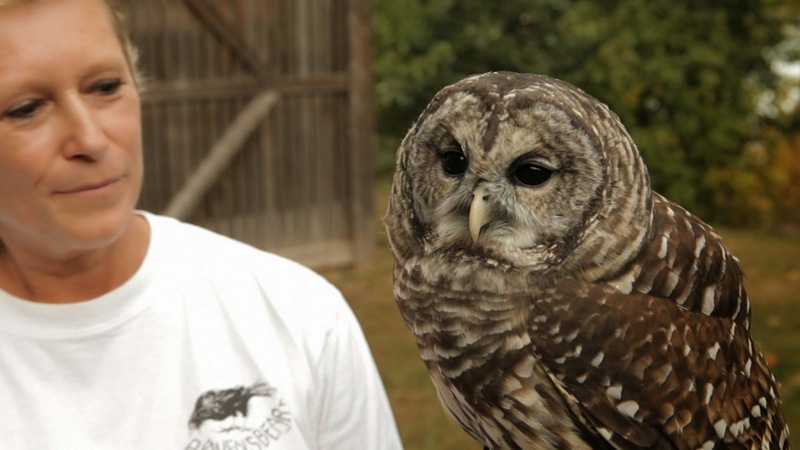 But, with pro-active communities and eco-conscious, engaged citizens, teachers and filmmakers like David Becker and his crew, there is much reason to hope that the rugged lands just north and west of the great metropolis of New York City will stay wild and remain forever in conservation. What's great about "To be Forever Wild" is that the film embodies this point of protecting the environment, but does not hammer you over the head with a save-the-environment message a la Occupy or 350.org style. But I dare say, unassuming documentary films like this one will inspire as many people to become environmentalists as more hard hitting films like "The Big Fix", about the BP Deepwater Horizon oil spill, or the disturbing film, "Chasing Ice", about melting ice caps. Don't get me wrong. These environmental films are terribly important. "The Big Fix" is a must see film. "Chasing Ice" is one of my all time favorite documentary films. It blew me away when I saw it at the 2012 Woodstock Film Festival. But, small films like "To be Forever Wild" which capture the joy of engaging with nature can inspire and motivate environmental action in a more visceral way. As I was finishing this post, I read an article on Science Blog entitled "To Boost Concern for the Environment, Emphasize a Long Future, Not Impending Doom." New York University researcher, Hal Hershfield, was quoted: "Our research suggests to rely less on end of world scenarios and to emphasize instead the various ways in which our country and our planet has a rich and long history that deserves to be preserved." 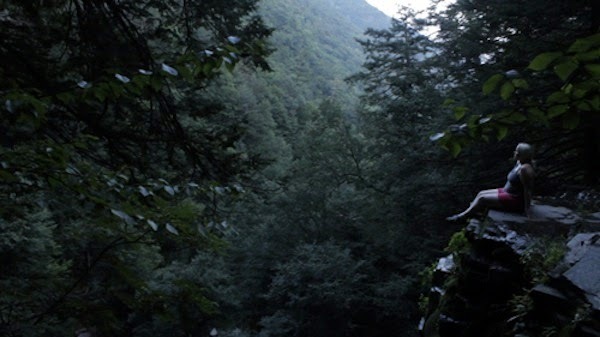 Barbara Kopple speaks of the importance of truly connecting with nature while maintaining a positive balance as we do it: "The most wonderful part of the film for me was seeing Director David Becker and his crew connecting with nature, comically braving the zipline, lugging equipment mountainside, and boldly treading new territory. This personal thread harmonizes everyone to the great outdoors and challenges us to brave the wild with a renewed respect." Check out the trailer for "To be Forever Wild" below. If watching it doesn't make you want to turn off the computer or device you are reading this on and go out and find some nature, you should clearly consider some digital rehab. Hey, Vimeo is great! But a real life vista of uninterrupted wild, nature, a simple sunset or some water rushing down a hill, or better yet, a swimming hole carved into a prehistoric rock ledge helps relieve the stress and frantic energy caused by manic modernity while lightening and uplifting the soul. To Be Forever Wild - Trailer from David Becker on Vimeo.